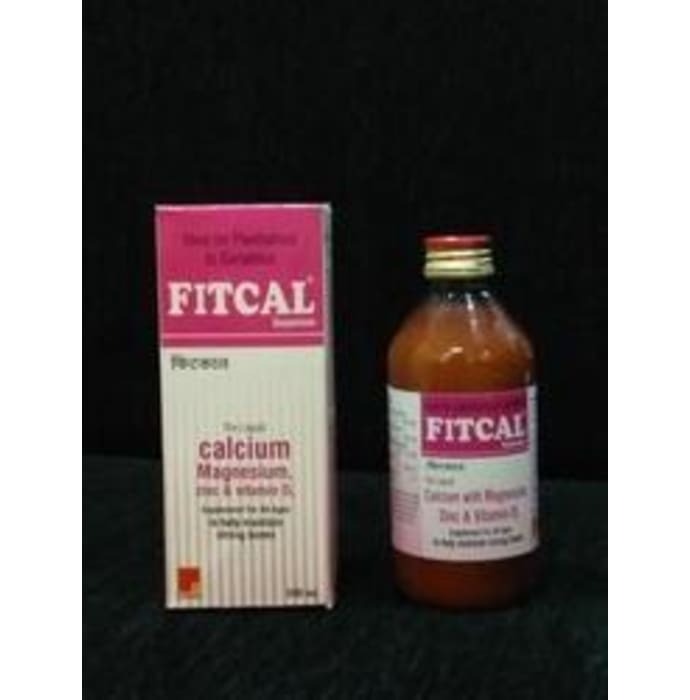 Fitcal suspension is used as bone joint supplement.It contains Calcium Carbonate and Alfacalcidol. Alfacalcidol is a vitamin D supplement. Alfacalcidol can help maintain calcium levels and help the body use calcium and phosphate to maintain healthy bones. Alfacalcidol is used for treating conditions in which calcium metabolism is disturbed. It is also used in disorders associated with Vitamin D deficiency and in calcium malabsorption. It helps in the development of bone mass, provide relief from muscle and bone pain, and also enhances metabolism. This is a dietary supplement that should be taken to avoid calcium disorders. Fitcal is used in elderly people to keep bones healthy and strong, and is even effective in Chronic arthritis and Osteoporosis.